We couldn't think of any better place to host Disruption Forum than Level39, one of the best tech communities in the world, located at the iconic One Canada Square building, right at the heart of the banking industry. Since 2013, Level39 has witnessed the rise of many successful fintech startups, the likes of Revolut, eToro, or doPay. We talked to Ben Brabyn, head of Level39, about the current state of fintech in the UK, challenges that Brexit presents for startup founders and the tech community, and how Level39 can help startups in scaling, growing and, expanding. 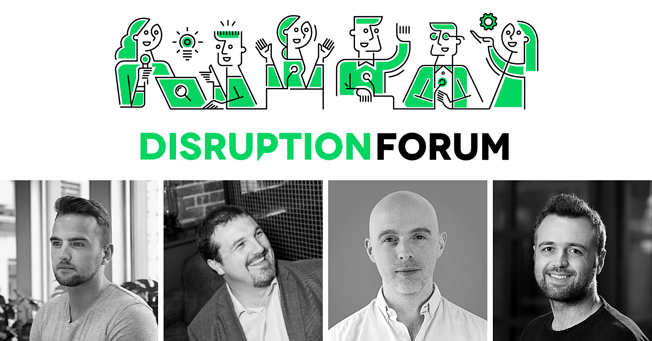 Netguru's Disruption Forum London panelists. From the left: Chad West (Revolut), Martin Dowson (Lloyds), Ben Chisell (Starling Bank), Yannis Karagiannidis (Monese). Tomasz Grynkiewicz, Netguru: How would you describe the current state of the fintech community in London in terms of maturity? Ben Brabyn, Head of Level39: There are many ways to answer this. But I think it's worth reflecting on the fact that for the first half of this year, investment into fintech has been higher in the UK than it has been in the United States or China. In other words, the U.K. is topping the league when it comes to investment. And of course, that is mostly affected by the fact that companies here are in these stages of maturity where they do require very significant capital injections. How does it look from a Level39 perspective? Level39 members are prominent in that space, to name Revolut and eToro having raised eight-figure sums in recent funding rounds. On a broader perspective: London is the centre of collaboration. As I look out of the window, I can see the Observatory at Greenwich which is where the whole world measures the place and time and space. In Level39, we sit within five minutes walk from most of the world's leading financial services firms. Canary Wharf alone is bigger than the whole of Frankfurt. So if you want to improve the way in which global finance works, this is the best place in the world to start. While London is topping the fintech league, there are still some dark clouds hanging over. Has all this Brexit turmoil left any visible scars on the community? I think it's a little early to talk about it as if it's already happened. It clearly introduced significant uncertainty both for entrepreneurs and for many institutions. 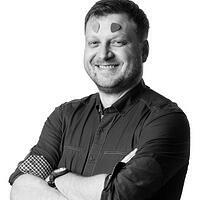 Has this uncertainty impacted Level39 hub? Do startup founders act a little more cautious? The most straightforward answer to that is to point out that our membership in Level39 has increased by more than 60 per cent since the referendum on Brexit. Locally, we see a massive increase in ambition and engagement. But of course, we're aware of the fact that Brexit presents real challenges for founders. Notably, they want to make sure they will still enjoy access to world-class talent and world-class markets. In a survey done before the referendum by Innovate Finance, 82 per cent of (broadly defined) fintech CEOs voted for remain as opposed to leaving the EU. That’s true. But what is also true is the fact that this is a community of pragmatism. This is a community defined by the desire to get things done. So while people may have felt that they wanted to remain in the EU, above all they probably feel that they want to build world-class businesses and so they're getting on to doing that. From your perspective, what are the most exciting things happening in fintech? First of all, the continuing dramatic engagement of the big financial institutions, banks and also investors. It’s been a good year for investment in fintech. Looking ahead, the next year will include March 2019, when the question of Brexit is finally clarified. I wouldn't necessarily say that it's exciting in a positive way, yet it's indeed drawing a lot of attention. So over the course of the next year, you will see some of the smartest, most agile companies at the forefront of helping the UK and the EU adapt to the relationship we have with Europe beyond Brexit. How does it concern fintech? Fintech has a vital role to play in that, helping big institutions adapt faster and helping consumers adapt faster. Whatever the outcome, it will be fintech entrepreneurs who lead the charge to the best possible future for institutions and consumers. We, as a fintech community are bringing significant benefits to the UK economy. In a way, we are a kind of national asset. We want to make sure that the benefit of the national asset is felt right across our society. Regardless of the outcome of Brexit conversations, I believe that London will continue to be the best representation of European ambition and capability and the best friend to collaborative organisations and governments around the world. We need more voices on the table than the United States or China. There’s an ongoing debate whether financial institutions and banks should be collaborating or competing with fintech companies. How does it look from London perspective? It's a bit in-between, but I think the emphasis on collaboration continues to increase. Very often fintech businesses can do things faster and more cost-effectively than big institutions. So a smart move is to determine what change you want to seek and then decide to what extent collaboration or competition is your best path to that. On the whole, I think a good general rule is that fintech bring an additional capability that is both scalable and highly cost-effective to incumbents. And I’m confident that this message has percolated through pretty much every major institution. What do you see as the number one challenge for fintech in London? Fintech gets a tremendous amount of attention from investors, from customers, and from regulators. That is an excellent thing, and we want that to continue. So the number one challenge is to maintain the momentum and build it further. 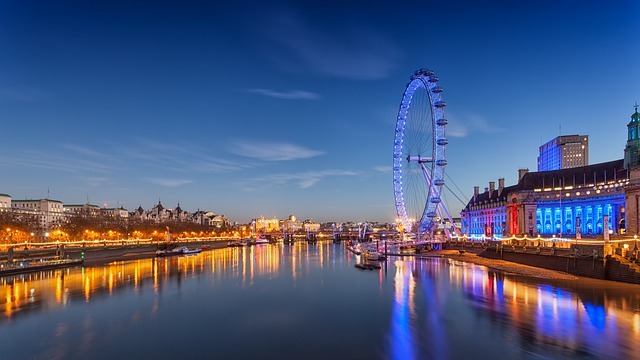 Fintech in London attracts a lot of attention and money from investors. The challenge: build it further. In other words: scaling, growing and expanding. Absolutely. In Canary Wharf, we're dedicated to making this the best way not just to start but to scale an enterprise of global ambition. We’ve followed the principles of the ScaleUp Institute and identified five ways in which we can support scaleups. What are these five ways? First of those is the access to customers. When you come to Level39, you get into the heart of the supply chain of some of the biggest firms on the planet. Then there's access to capital. We have welcomed, and continue to welcome, every major investor into fintech since launching in 2013. But we also work closely with the UK government to make sure they're aware of the specific capital requirements for fintech. Then there's talent. We're right at the heart of the banking industry, so we're surrounded by people who've got deep expertise and knowledge of the problems of the finance world. Moreover, we've got lots of academic collaborations which means that all of the companies are closely connected with people at the cutting edge of research in their domains. Customers, capital, talent. That gives us three ways of support. The fourth requirement is the need for leadership expertise. Again, we have a community with people at whichever stage: from startups, through to scaleups, through to global enterprises. There are people you can turn to for help – mentors and advisors. And then, finally, you need a place to grow. Canary Wharf has 20 million square feet of enterprise-grade space, which it can offer on more flexible terms than almost anyone. So whether you're one person looking for a hot desk or a thousand people in a hyper-growth company, we can help you with flexible, scalable infrastructure all the way. Level39 is mostly associated with fintech, but from what I’ve heard you’ve been attracting a lot of cybersecurity companies recently. We are the largest cluster of cybersecurity companies in London, and there are around 30 of them in Level39. They are choosing to come here because the banks are hungry for their expertise and capability. What it means is that pretty much every fintech company is also a reseller of cybersecurity expertise. For a good reason – you don't even get to have a conversation with a bank unless you can demonstrate you bring security with you. Some people also say that all fintech is cybersecurity. I wouldn't go quite that far, but it is undoubtedly the fastest growing segment in Level 39 at the moment. Any other trends in fintech that you see promising? Artificial intelligence is drawing a considerable amount of attention at the moment. There are many companies here that are applying artificial intelligence to a variety of issues. So undoubtedly artificial intelligence is the one to watch. But it's so fundamental that its manifestation can be very very broad indeed. Ok, so if I were to start a fintech company today, what would be your advice? Look no further, come straight to Level39. Then, deliberately set out to learn as fast as you can. We are creating a globally connected community of ambitious people. Whatever your fintech innovation is, whatever your company is seeking to do, you have the best possible chance of finding great customers and fantastic investors, being able to recruit, retain, and cultivate a high-performing team. And you're in a position in which whichever queue you want to be in, whether it's the queue to talk to regulators or to talk to these academic institutions, you're at the front of that queue. In other words, you feel that there is more room for innovation in fintech? I think there's massive scope for further growth. History points out to us that innovation is one of those things that is a non-zero sum game. What drives it is, of course, the diversity of thought, diversity of approach, and variety of expertise and background. At Level39, we have 48 nationalities among the top 1,500 experts in 200 companies that are present here. We want to welcome in even more diversity on every axis to have perspectives that could challenge the assumptions in which we've all grown up with and gotten used to. That brings innovation. That's what we want to welcome and champion here.